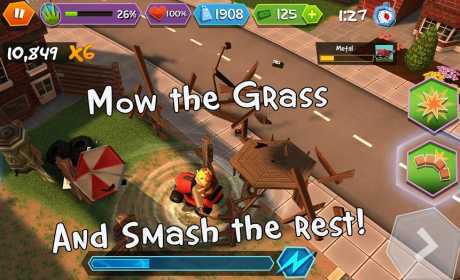 Evolution of war has gone from space to lawns as you join the Cosmic Cow Army on their rampage across England stealing grass, their most precious source of power and energy, from their dastardly sheep rivals! The happy humans are oblivious to the chaos that is taking place when their backs are turned and it’s your job to help the cows by milking every ounce of their power. 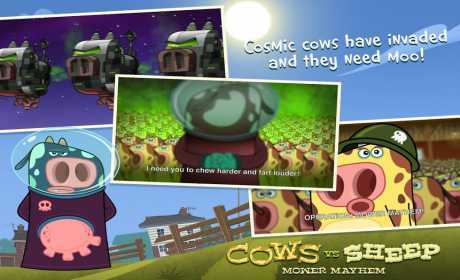 These intergalactic bovines need your help to demolish anything in their path, in this bizarre-yet-cute animal rivalry game! 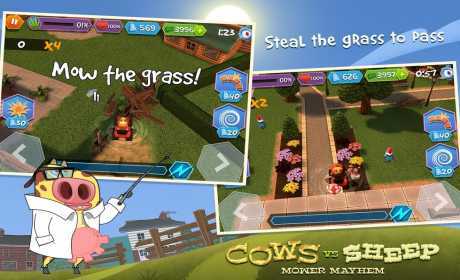 Now’s not the time to be sheepish, take control of your moower in this wacky free 3D simulator and help herd the cows towards victory in this intergalactic turf war. Prepare to be udderly blown away!